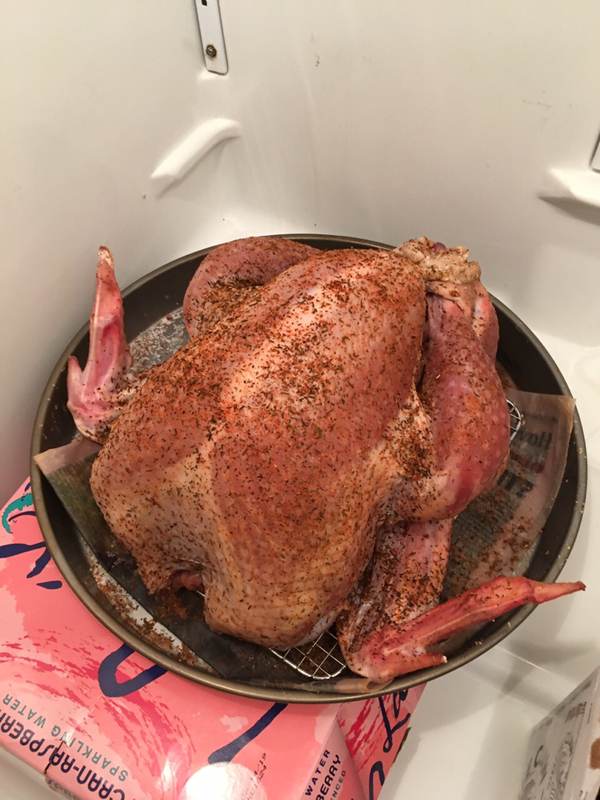 Dry rubbed two days ago with kosher salt and Penzy’s Northwest. Frickin good stuff! Nice work everyone! Turkeys all look great! Happy Thanksgiving. Brined one turkey and spun it on my Performer with some apple and peach wood. Then deep fried the other to have the family do the taste test. 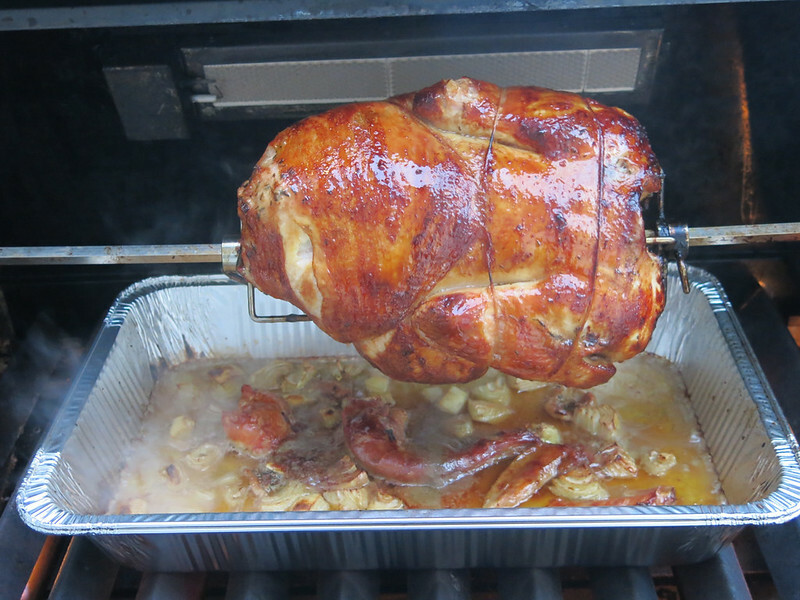 The consensus was the rotisserie bird had better flavor. Both birds had crispy skin, and the deep fried one was excellent too! First time cooking birds. One with herbs and the other BBQ. Let’s see. Trying with charcoal and little chips. Thinking about 2 to 3 hours. Any recommendation to keep temperature above 300 F? I am only able to keep it at 250F. Adding hickory chips every 30 mins. Yuengling lager brined and spun/smoked on the Summit. 23 degrees ambient here in PA today. Turned out great. @56MPG Did you use the infrared on that bird? This year we fried it. Happy Thanksgiving Guys! @Heyjude I used the IR burner for the first twenty minutes only. It's too much of a good thing to use throughout the cook. Injected with butter infused with parsley, rosemary, sage and thyme. Then rubbed with the same. 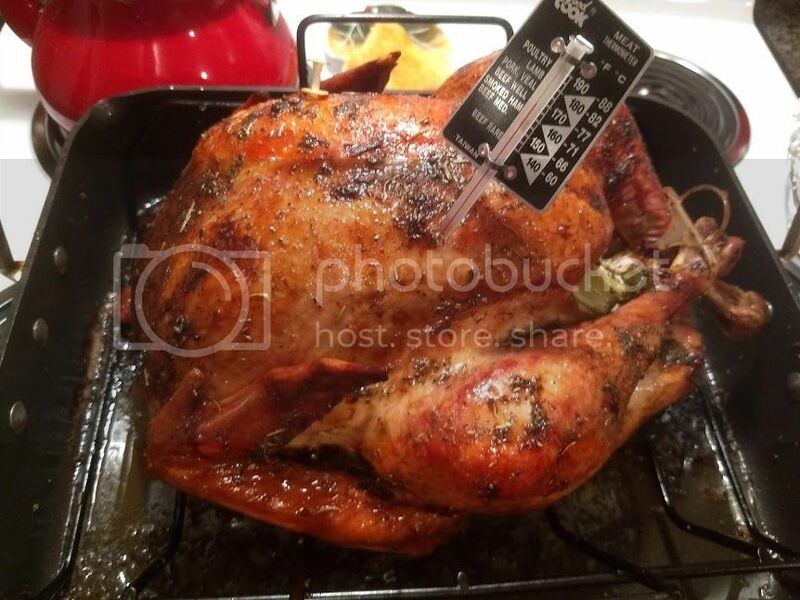 Stuffed with onions, celery, and apples. Yes I know it's not a Weber, and even worse, it's a gasser but I'm at my parents house! 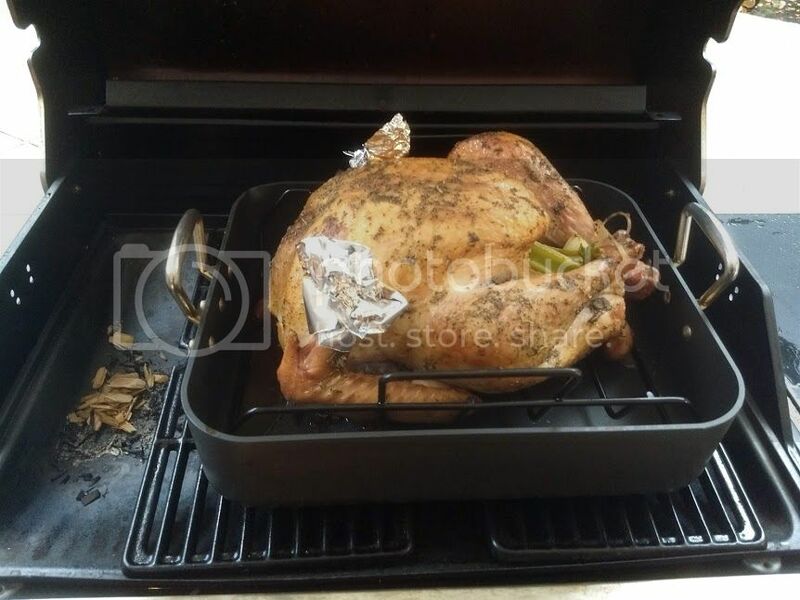 The turkey turned out great but zero smoke flavor despite the wood chips. How did it go? They look good! When your cooking for a long period of time like that you’ll have to replenish your coal base every hour by either adding more unlit coals or more lit coals. I prefer lit. If you’re trying to bump up the heat you just need to add a few more coals during that time. Also, and this might just be my opinion, but lifting the lid too often let’s a lot of the heat escape and makes it hard to recover or stay consistent with a desired temp. 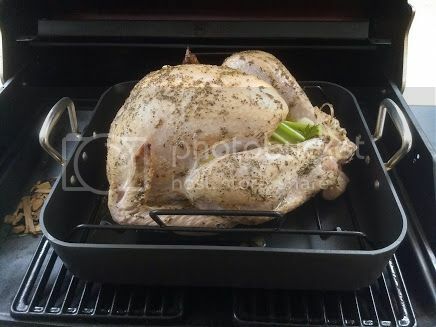 Try to get the grill to settle in to your desired temp, then leave it alone only opening every hour to add coals, baste or whatever and get that lid back down quickly.